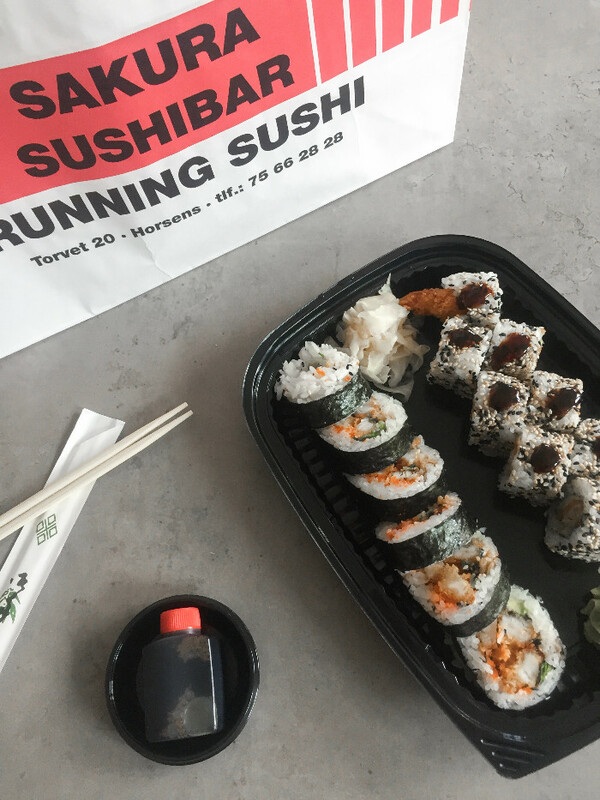 Yesterday I had yet another food craving for sushi and decided to order take away, from my favorite sushi place in Horsens. I wanted to share this with you guys, either if you live in Horsens or if you're visiting, because then you definitely have to try some. 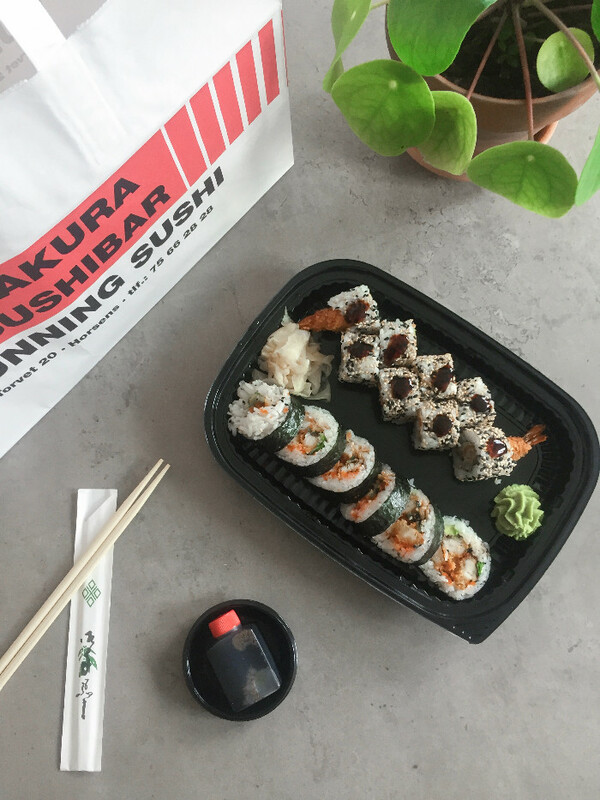 The place is called Sakura Sushi and they have a website where you can see a list of everything they make, they even have running sushi for a pretty good price, where you can eat as much as you want. I ended up ordering the crispy ebi roll, which consist of 8 pieces of sushi, with tempura shrimp, avocado and spicy sauce. 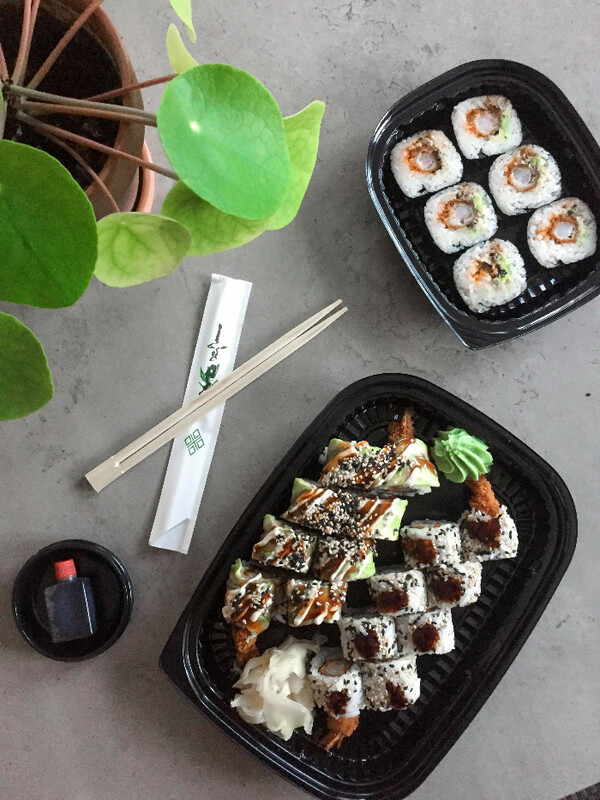 I also ordered the crispy chicken roll, which consist of 5 pieces of sushi with tempura chicken, avocado, cucumber, onion and teriyaki sauce. I in general love shrimp sushi the most and Sakura Sushi makes two other roles with shrimp, I highly recommend. The first one is the Ebi Tempura Big roll, which consists of 5 pieces with tempura shrimp, masago, avocado, green onions, chili mayo and unagi sauce. The second one and my all time favorite is an Ebi Danko role, which consists of 8 pieces of sushi with tempura shrimp, avocado and topped of with avocado on top, with (I think) mayo and unagi sauce drizzled over.